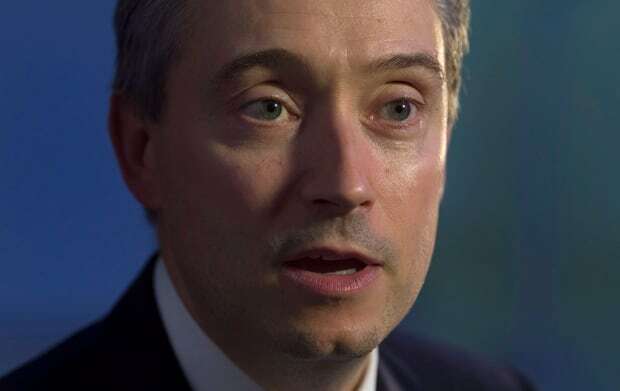 Those countries have now come back onside, International Trade Minister François-Philippe Champagne said, and have agreed to the terms of the original TPP. “We got a better deal for Canada, we were also able to enhance the progressive elements — as the prime minister says you don’t do trade in the 21st century like you did before,” he said. All countries have agreed now to implement regulations around minimum wages, hours of work and occupational safety and health, for example, something the original TPP called for. Champagne said if a country does not adhere to these requirements as called for in the agreement, any country could haul another offending partner in front of a trade tribunal, and they would be subject to the dispute resolution process. The 11 partner countries have now put “four specific items” aside to allow for further negotiations, notably chapters relating to rules of origin, which includes automotive parts, before a deal is signed. “What we have achieved today is identifying the areas where work needs to be done,” Champagne said. The chapter relating to intellectual property has been “suspended,” which means, in plain terms, that it will no longer be part of a renegotiated TPP, a victory for Canada as many companies — as well as Blackberry’s former CEO, Jim Balsillie — were worried about those provisions. The intellectual property chapter, which essentially applied U.S. patent laws to other member countries, was originally demanded by the former Obama administration. Canada is also pushing partners to change provisions relating to culture. Canada said the other 10 countries did “affirm the right of each party to preserve, develop and implement its cultural policies,” but specifics have yet to be finalized. “We all understand we need to do more on culture, I’ve said Canada will not settle for less. It was essential for me to fight for Canadian culture,” Champagne said. Some observers have warned the text of the original TPP, negotiated by the former Conservative government and ultimately signed by the Liberals shortly after they took office, would undermine the federal government’s promotion of Canadian culture through funding for artists and financial support for film production, periodicals and public broadcasting. The original TPP deal included weaker protections for cultural industries than in other trade treaties, including NAFTA and CETA, the Canada-EU free trade deal. The preamble to TPP recognized the rights of countries to regulate certain sectors — public health, safety, the environment — but notably left cultural industries off the list, a departure for Canada, which, under governments of all political stripes, has pushed for a lot of leeway for federal and provincial governments alike to support cultural industries without fear of reprisal at a trade tribunal.